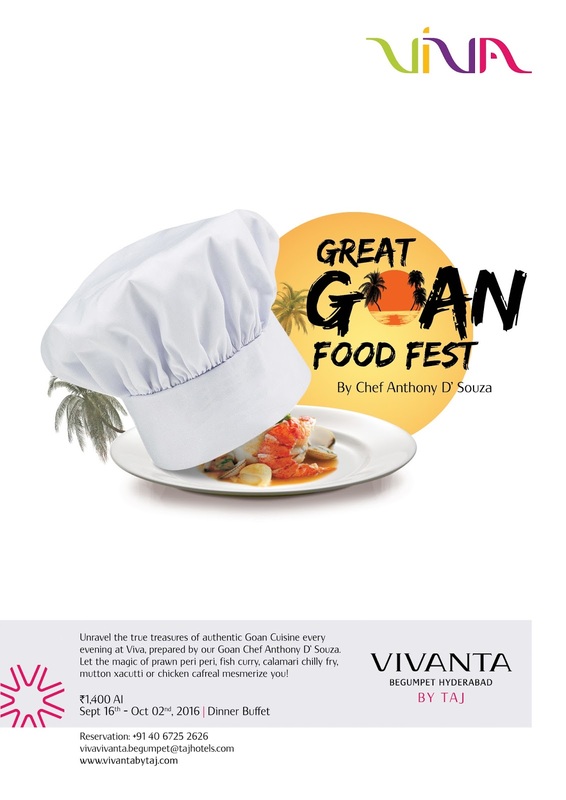 Chef Anthony D’Souza from Vivanta by Taj, Panjim is in Hyderabad to curate the festival. 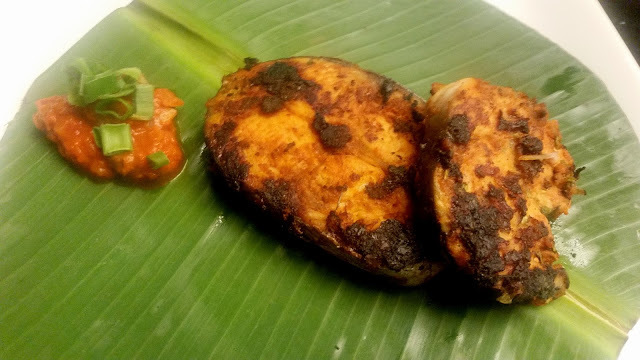 As per Chef Anthony, the menu has been carefully selected keeping in mind the variations in Goan cuisine. Meat, seafood, vinegar, wine, and coconut are some of the important ingredients of Goan food. 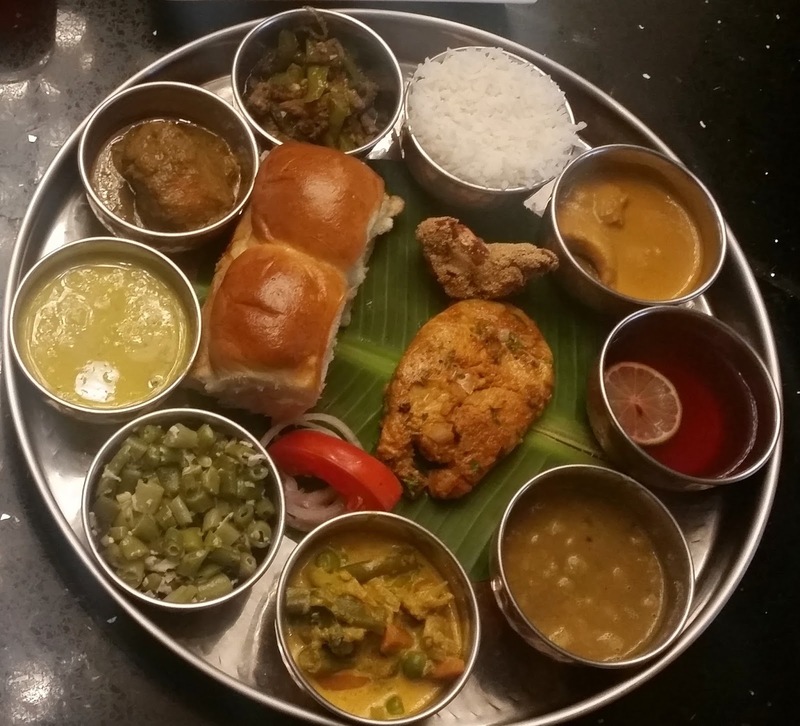 Dishes have been incorporated both from the Gomantak cuisine of the Hindus as well as the Goan Catholic food with its considerable Portuguese influence. So while you have Dal Varan, on one hand, you have the Xacutti there too. The festival will be on for about fifteen days (until October 2nd) and will showcase about hundred different dishes from Goa during this period. 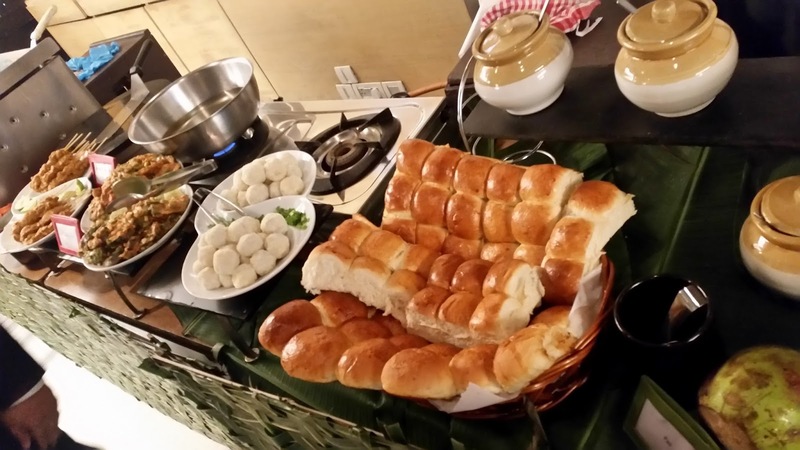 At the media preview, we first tried out the meat and seafood dishes from the live counter. 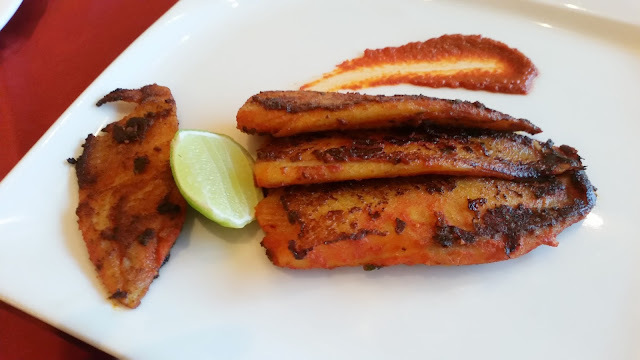 King Fish Peri Peri had Surmai marinated in Kashmiri chillies, vinegar and garam masala and then tawa fried. The Goans do not use the fancied Bird’s Eye chili in their peri peri recipe, it is the garam masala which provides the heat. 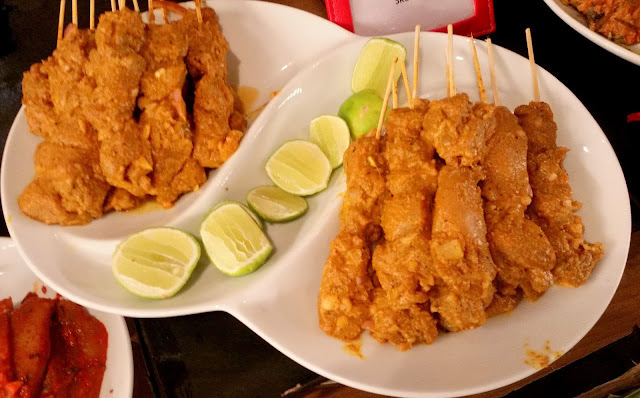 Chicken Jera Mera on skewers was another interesting dish, it had boneless chicken cubes marinated in a coriander-rich masala. 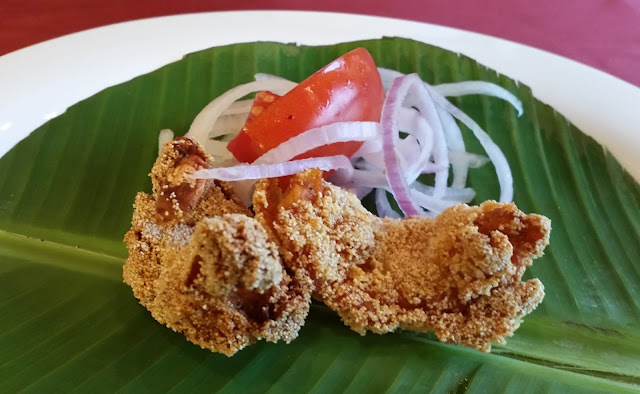 Prawn Rawa Fry showcased the semolina covered starter recipe, which is again omnipresent in any Goan festival. 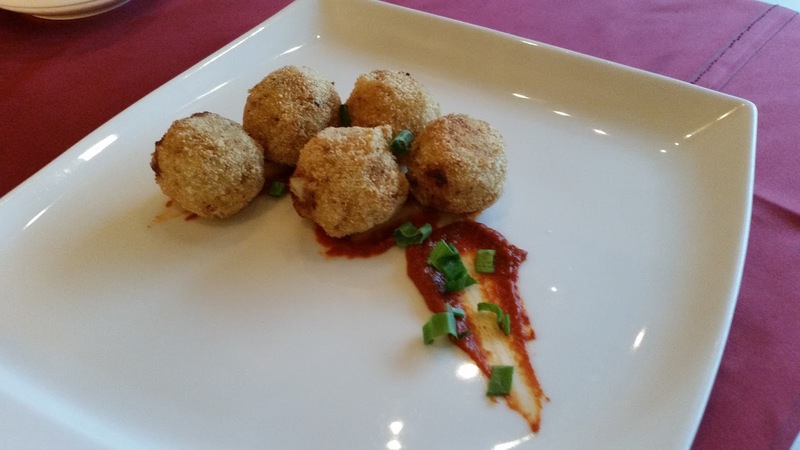 But, our favorite for the day was surprisingly a vegetarian recipe, Bolinhas De Bata. The fried balls with mashed potato, cheese, chillies and diced onions were extremely delectable and soft, and the green chillies added a fiery touch to it. The starters were accompanied by a kokum based drink, again a must in a Goa fest. After a quite satisfactory run with the starters we turned my attention to the main courses. The buffet had a nice balance between veg and non-veg recipes. I started with some Goan par boiled rice with Dal Varan, a combo which is simple soul food in Goa and Maharashtra. Bean Foogath, a grated coconut based recipe, worked well with this too. There was a vegetarian dish Mixed Veg Mardol, I am not aware whether the dish has been named based on the place of its origin. The Channacho Ross, a chickpea based curry was nice and tasty, I tried it with the Goan Pao bread. 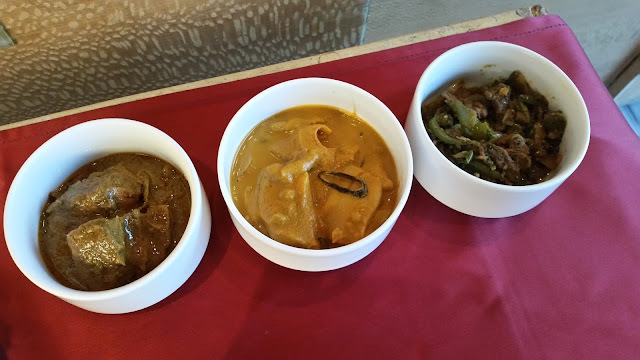 The pao was in action again with Beef Chilli Fry, a dry preparation of beef, and Chicken Xacutti from the Goan catholic cuisine. The latter, a coconut based spicy gravy had a nice balance of spices. 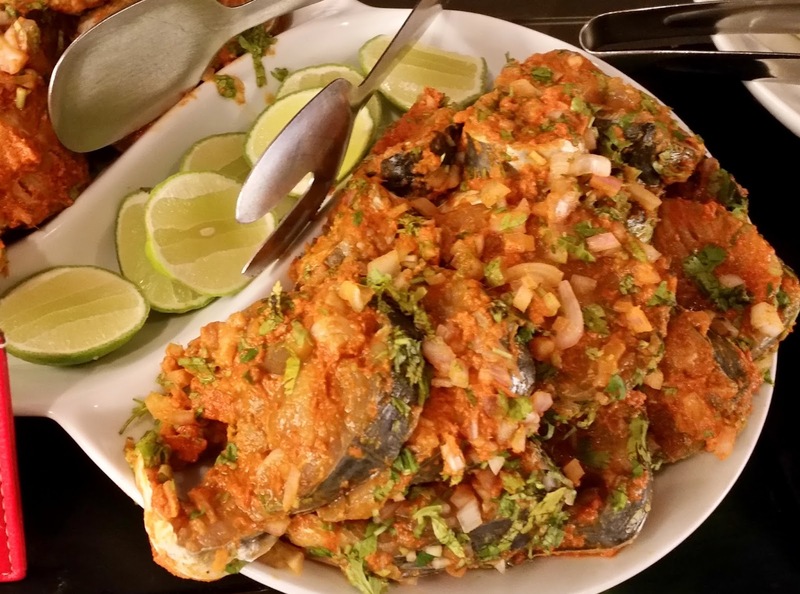 The Goan Fish Curry was significantly more subtle, a delight with some steamed rice. The dessert for all seasons from Goa is Bebinca, a layered sweet with flour, egg, jaggery, ghee and coconut milk. Doce, the chickpea, and coconut sweet were also there giving it company. A nice crisp menu of about twenty Goan items. The menu changes every day and you can relish your Vindaloo, Xec Xec, Cafrael and Dodol depending on the day’s menu. 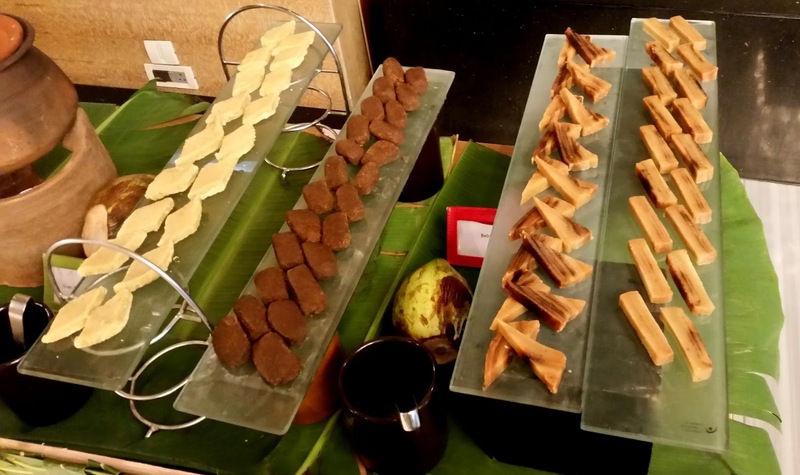 As the festival is at Viva, the all-day dining restaurant in Vivanta, you have also the option of trying out the balance regular spread here, which has its own starters, main courses and desserts. 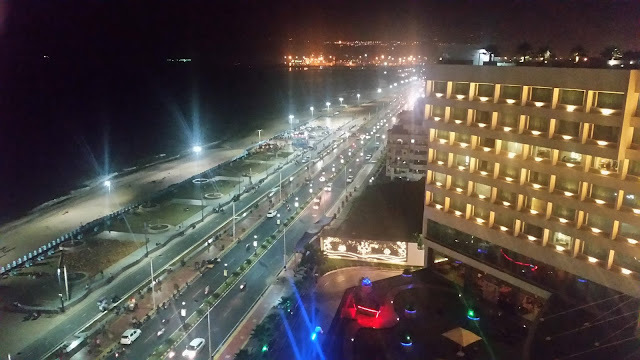 The festival is on till October 2nd only for dinner and is priced at Rs 1400 (all inclusive).